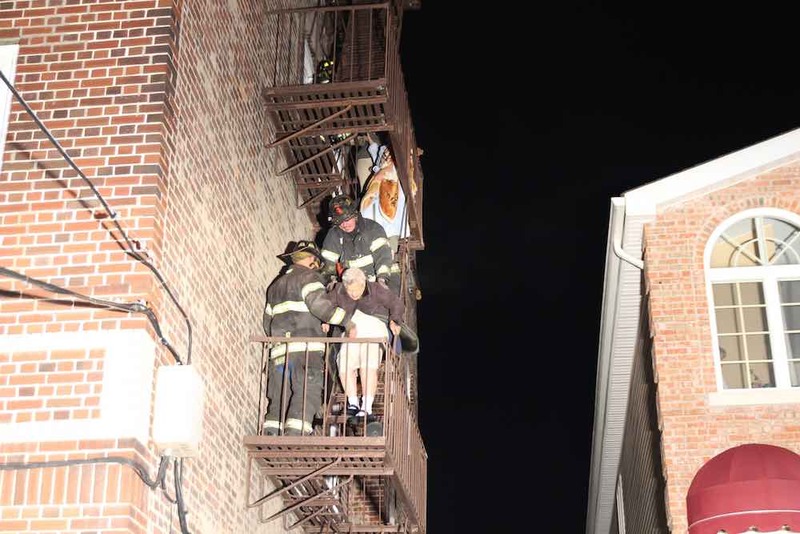 Members of North Hudson Ladder Co. 4 assist residents of 6100 Jefferson St. from their smoke filled apartments on Thursday evening. A fire started on the first floor, in a bodega, and flames rose up the walls of the 4-story building and also covered all floors in acrid smoke. Three alarms were transmitted to provide sufficient manpower to check all floors of the structure. 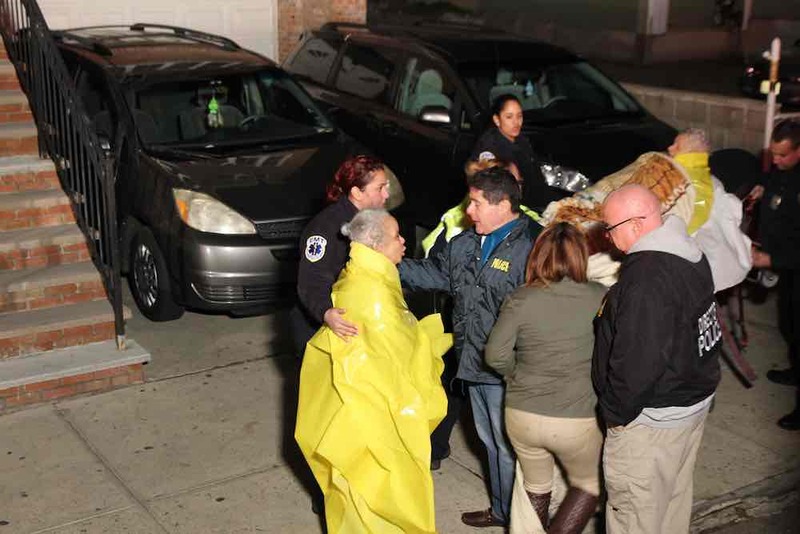 Picture below of Mayor of West New York (center) consoles fire victims that were taken down the fire escape by North Hudson firefighters.